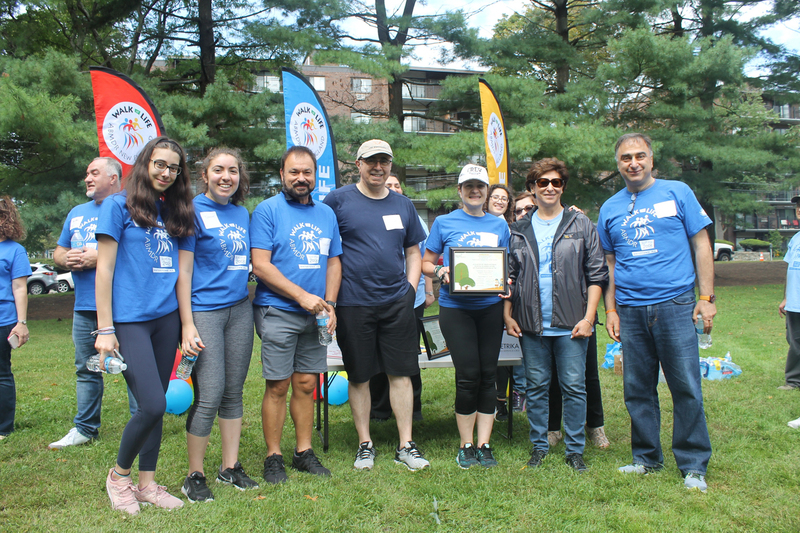 Watertown, Massachusetts, October 4, 2018 – On September 22, the Armenian community of New England joined forces in support of Walk of Life, the seventh annual walkathon of the Armenian Bone Marrow Donor Registry (ABMDR). The beloved pan-Armenian event, which took place in Watertown, drew avid youth participation, with large numbers of students from area schools and colleges, as well as the support of numerous community organizations. Once again, Walk of Life received major corporate sponsorship from the Dana Farber Cancer Institute. 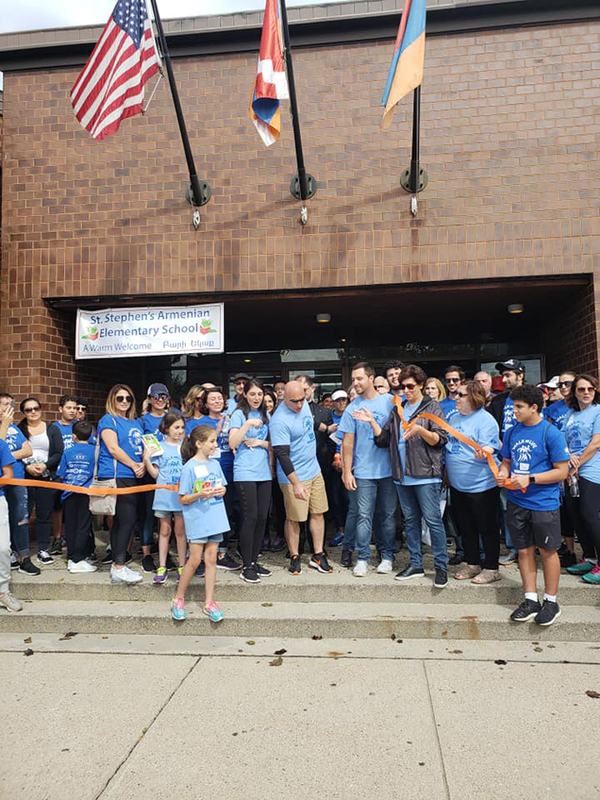 Other sponsors and supporters included the Armenian-American Pharmacists’ Association, PROMETRIKA LLC of Cambridge, Watertown Savings Bank, several other local businesses, the Armenian Tree Project, and the Armenian Cultural and Educational Center (ACEC). Subsequently the throngs of supporters began the 2.2-mile walk, led by the ABN marshals. Walk of Life concluded at Watertown Square, where participants enjoyed great music, dancing, and food, along with thousands of people attending the annual Faire on the Square festival. 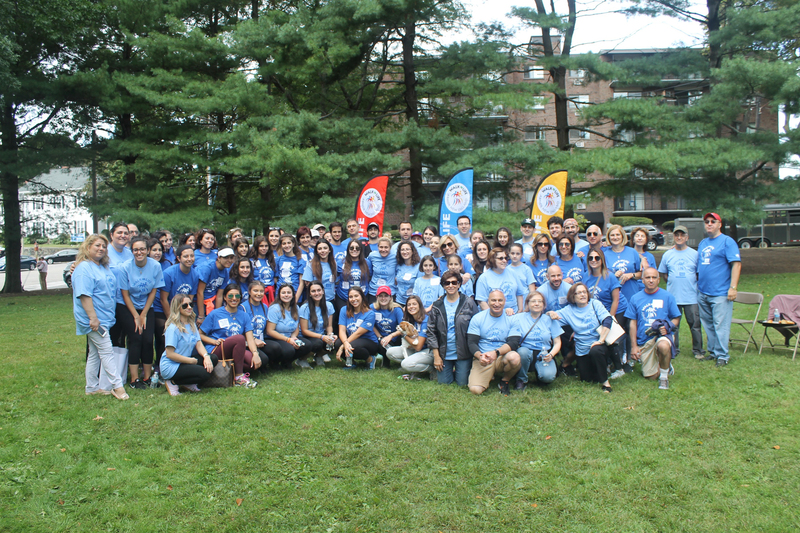 In his remarks during the closing ceremony, Shant Der Torossian of the New England Walk of Life Committee said, “We’re touched to see so many community organizations and individuals come together today to participate and collaborate for this walkathon. A big Thank-you to all those who assisted in promoting this event among their co-workers, friends, and family. We couldn’t do this without you!” Der Torossian went on to convey the New England Walk of Life Committee’s deep gratitude to the event’s main supporters: he thanked ACEC for generously functioning as the home base of the walkathon; and the walkathon marshals from the Armenian Business Network, led by President Jack Antounian. 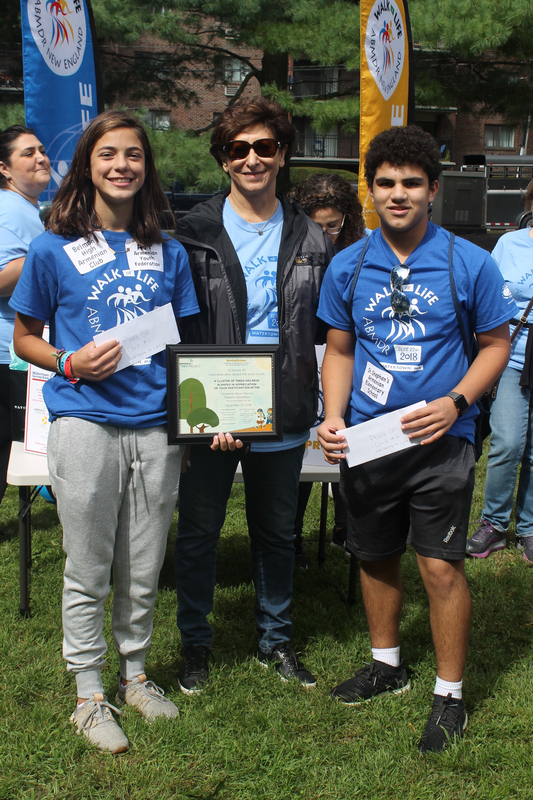 Following Der Torossian’s remarks, Walk of Life Committee member Tamar Melkonian announced the winners of the walk. 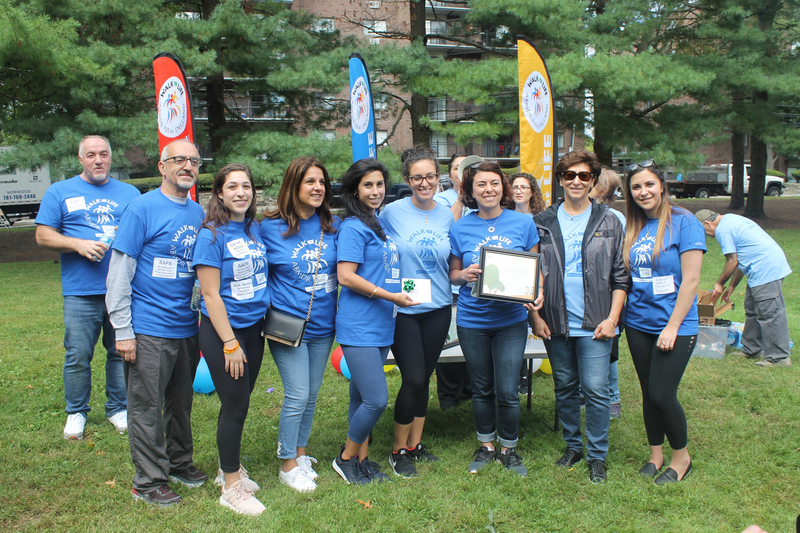 The YerazArt Foundation team was recognized for having raised the most funds; Knar Krafian and Alex Sirakian tied as the individuals who had raised the most funds; and the Armenian-American Pharmacists’ Association (AAPA) team was recognized for having the highest number of participants. Team AAPA was also the recipient of the Volunteers of the Year Award at the ABMDR Gala in Los Angeles in September 2018, for their sponsorships and continued support of the walkathon and AMBDR as a whole. For the sixth consecutive year, the Armenian Tree Project will plant commemorative trees in Armenia in honor of the walkathon winners, as part of the #LivingCentury Initiative. The winning teams also received Pizza Party Gift Certificates from Domino’s of Watertown.